For architects seeking a unique solar control solution that is visually appealing and sustainable, electrochromic glass may be the right fit for your upcoming project. 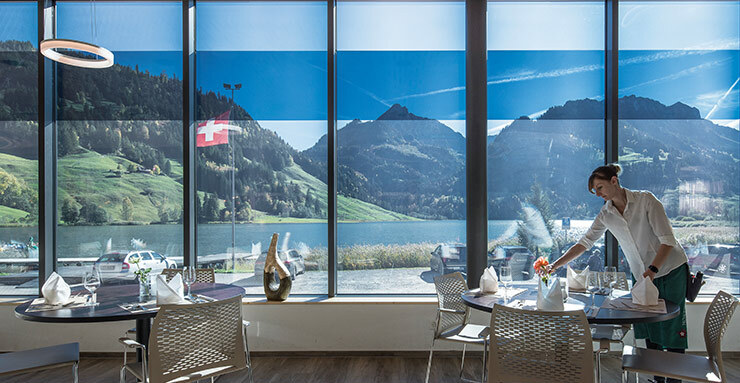 Electrochromic glass (EC) can be utilized in a variety of building types— from higher education facilities to airports and hospitals to provide occupants with a more comfortable indoor environment free from heat gain and glare that offers unobstructed outdoor views. However, before pursuing this solution, you may be interested in learning more about how it works, its benefit to building occupants, and overall performance. That’s why we’ve developed the following accredited continuing education courses to provide you with a helpful introduction to EC glass.